Two concert fund-raisers will take place Thursday and Friday to help expat charity group Helping Others Prosper through English run its Christmas programs for underprivileged children. 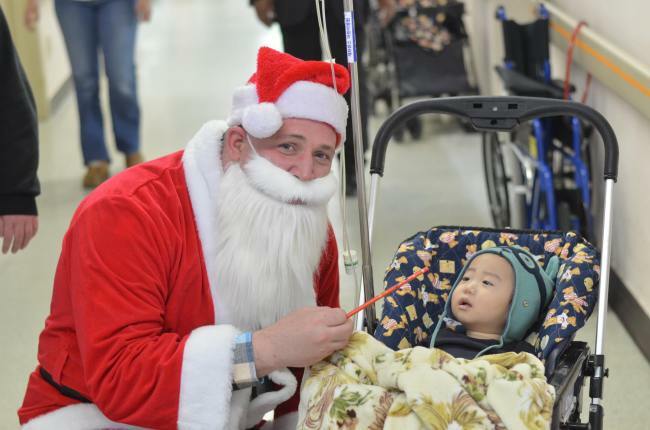 HOPE plans to run events at the children’s cancer ward at Severance Hospital in Sinchon, Seoul, and at the Mulmangcho Adolescent Shelter, an adjustment center for North Korean defectors who have recently arrived in South Korea. The concerts will feature Angry Bear, Colin Phils, Magna Fall and Mineri on Friday and Beet Juice, Reasco, Sighborggg and Mixed Blood on Saturday, and money raised will help pay for gifts for the children. HOPE project director Eddie Robinson said he had already raised about 500,000 won ($450), but hoped to reach about 2.5 million by the time of the events. Robinson said they would provide activities for the kids and bring in a clown magician to perform, after which Santa would arrive to give out gifts for the children. Similar volunteering events were held at the two centers last year, as well as Goodtree Children’s Center. Robinson said the magic show would be a bit longer and more elaborate at Mulmangcho, where the performer had a bit more freedom. Gifts are either donated directly or paid for through money raised. Robinson said there was a large spread of ages at Mulmangcho, and suggested gifts including gloves, hats, school supplies, soccer balls and lip gloss. HOPE, or Helping Others Prosper through English, is a volunteer nongovernment organization that helps underprivileged children, mostly through language teaching, in Seoul and nearby areas. The shows will take place in Thunderhorse Tavern in Haebangchon from 9 p.m. A suggested donation of 10,000 won is asked for. Thunderhorse is on the right side of the road leading north from Noksapyeong Station to the Haebangchon and Gyeongnidan areas. Donation boxes will be put up at Thunderhorse Tavern and at Bottoms Up in Guri, Gyeonggi Province, and money to support the events can be donated via Shinhan Bank Account No. 100-025-517130.